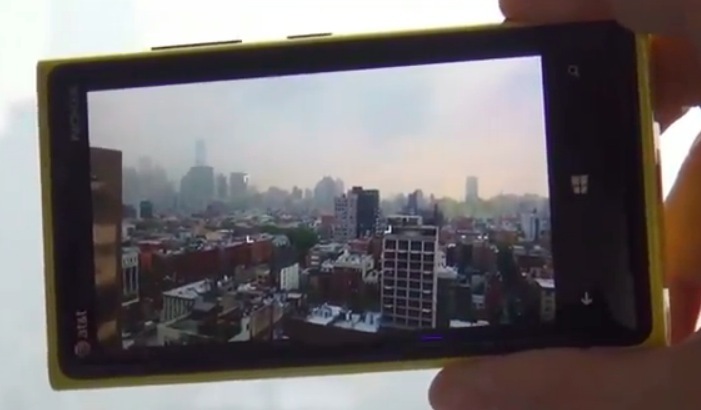 It was possibly a lot clearer in the first video this morning (the clip seems to be played back on the device), but here’s another session showing a demo of optical image stabilisation (close up) on the Nokia Lumia 920. Notice the immediate change in the viewfinder when the OIS is off and when it is activated with half press. I can imagine OIS pairing up quite excellently with PureView V1. Think stable shots at the telephoto/zoom end. On Friday, whilst everyone was attempting to take potato pictures of the lecture slides with their free iPad, I used the Nokia 808 PureView. So much clearer, but when I zoomed in, the fine text was not as clear as it could have been if I had a tripod. Note, this is an AT&T branded 920.